On Friday 2nd March EUPAVE held in its premises a Workshop on concrete safety barriers. Attended by around 40 participants, the workshop gathered road authorities, contractors, designers and engineers who have an interest in road safety and vehicle restraint systems in particular. “One of the top ten goals set by the White Paper on Transport (2011) is to reduce fatalities in road transport. 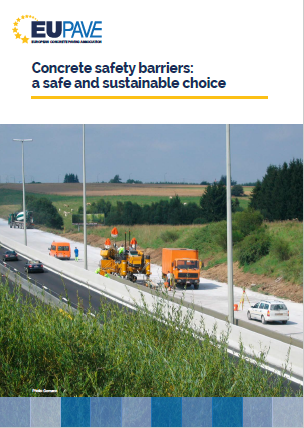 The increase of the safety of the road infrastructure had been one of the seven main aims of the policy orientations made by the European Commission (EC) regarding to road safety for 2011-2020. From 2010 to 2016, the number of road fatalities in the EU decreased from 31.500 – the equivalent of a medium town- to 25.500. This represents a 19% reduction over the last six years. However, despite of the fact that the EU has the safest roads in the world, 70 people are still dying and 370 got serious injuries every day. These figures are insufficient if the EU wants to meet its target of halving road fatalities between 2010 and 2020 (only 40 people by 2020). The European Commission also settled as a long-term goal to move close to zero road fatalities by 2050.